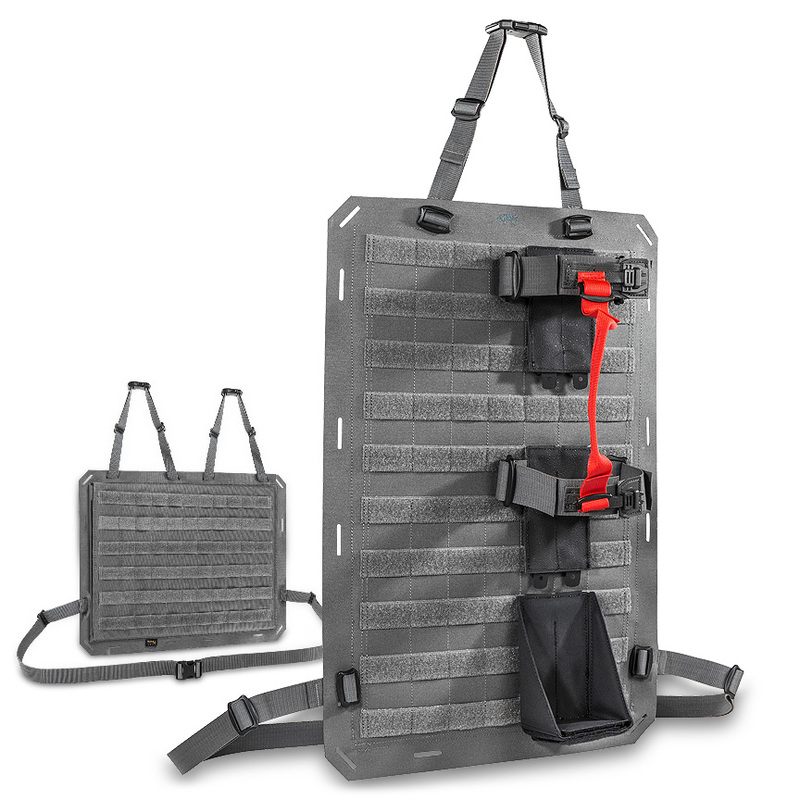 Modular panels and special bags offer customizable solutions for tactical deployment vehicles so you can organize your gear either in front of or behind vehicle seats, on headrests or on the sun visors. With its versatile attachment options, the clever vehicle packages for professional deployment teams can be quickly recovered as a complete unit for use in other vehicles or ops. All of the panels and pockets are made of super robust Cordura 700 den material. The TT Modular Front Seat Panel can be mounted vertically behind the front seat or horizontally behind the rear seat. MOLLE hook and loop strips help you configure the system to suit your needs. A removable weapon holster with quick-release system completes the panel and can be mounted on the left or right. Behind the headrest with a handle facing either left or right to remove it: the first-aid kit (see pictures above). 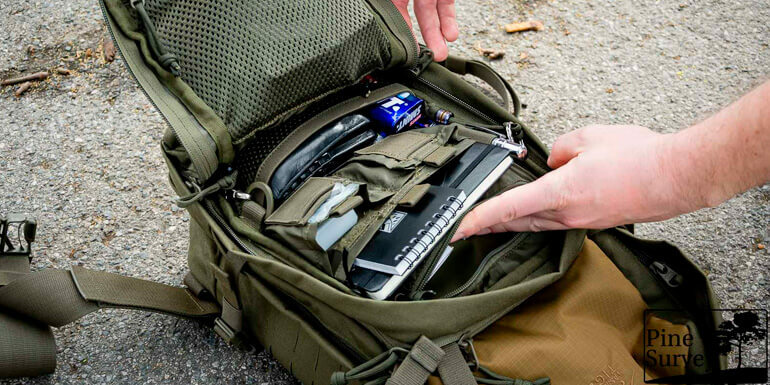 Easy to access on the sun visor: the MOLLE documents pouch. The TT TacVec Container for magazines, water, first-aid equipment or tools is mounted in front of the front seat and can be pulled out by the handle. Includes a shoulder strap for transport outside of the vehicle. 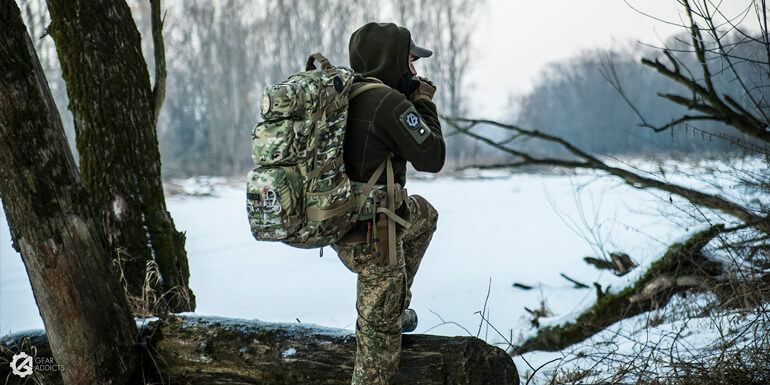 The 9-liter TT Support Bag is meant to handle tools or similar gear and has a removable shoulder strap. The lid flap can be closed with flat hooks or (included) SR buckles and can also be completely removed.